The technology level of our lines provides top flexibility for the production of perfect valve balls. We can also make small lots for special needs. 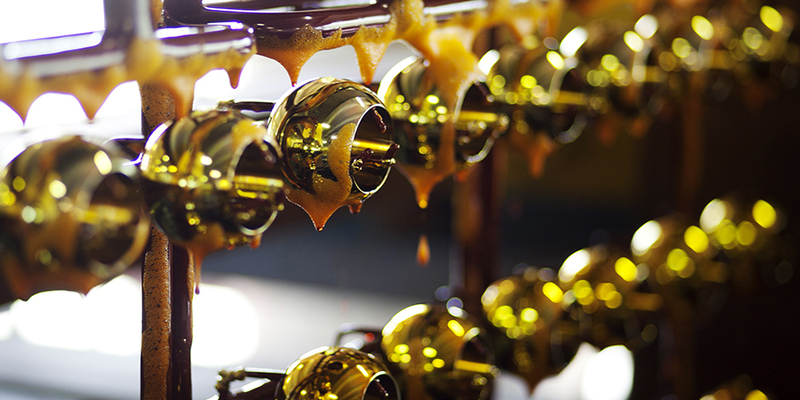 Production balls for valves: it requires perfect machines. LA B&B continuously renews its equipment and counts CNC transfer machines and CNC diamond turning machines. The company produces two types of balls for valves: balls for standard valves and balls for special valves. The basic material consists of brass bundles, of solid pressed brass balls, of hollow pressed balls or of cast balls. 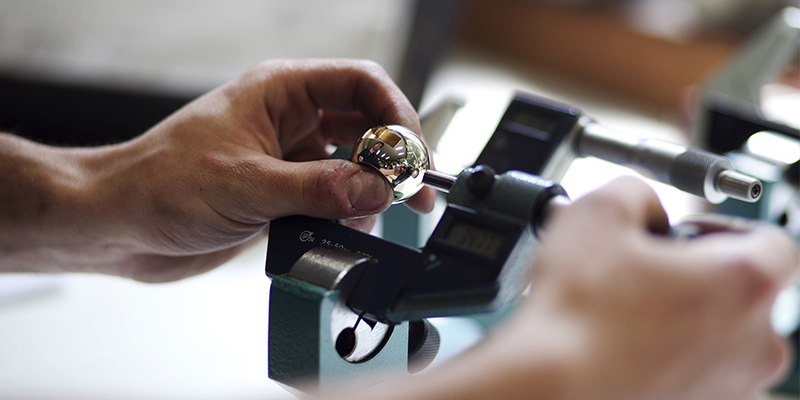 After initial machining of the base material, production balls for valves requires other machining such as milling, drilling and, lastly, diamond turning, which completes the ball finishing process, making them perfect. Production. 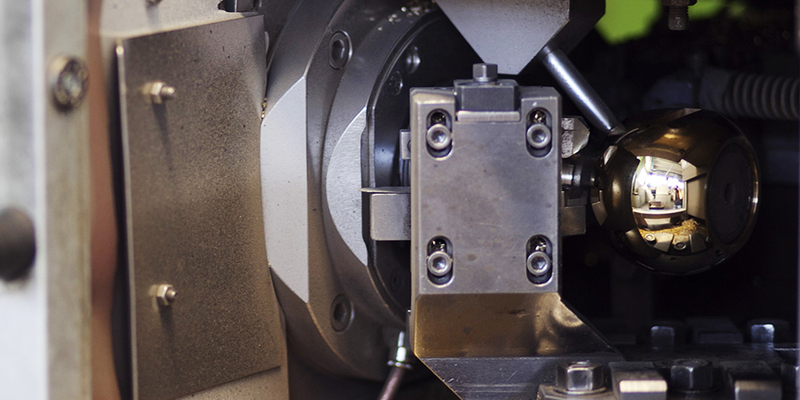 High-tech machining centres for the production of ever better balls for valves. Treatments. Ours is the company capable of handling the entire galvanic treatment process for valve balls. Inspection. Technology supporting human resources for careful quality control that guarantees the perfection of balls for valves. Packaging. 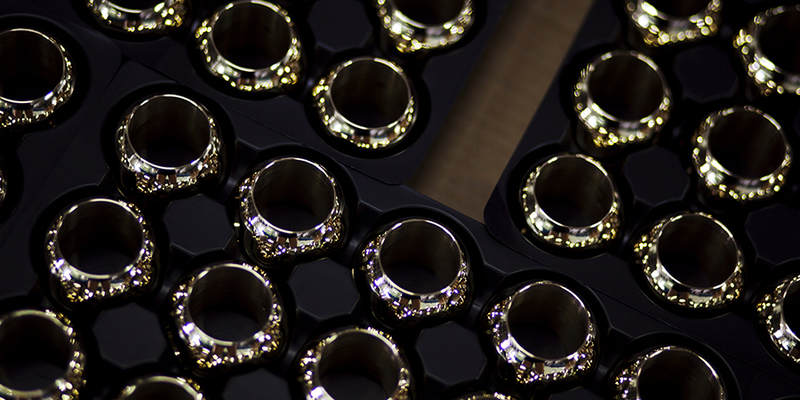 Full traceability of the balls for valves from the order, through production, to their delivery.